I've launched into the pants. 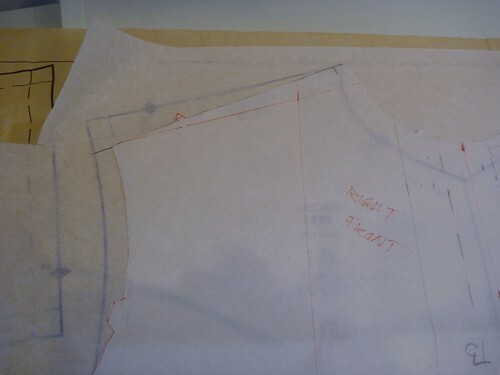 My plan is follow the pattern directions for the front slant pockets, but I'll defer to Cabrera for the back welt pockets. Why you might ask? 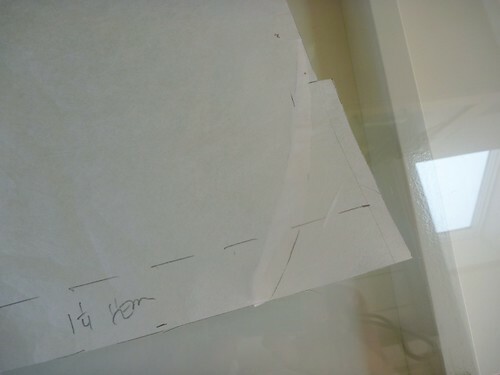 Firstly, his directions are crystal clear and there's a line drawing for each and every step. 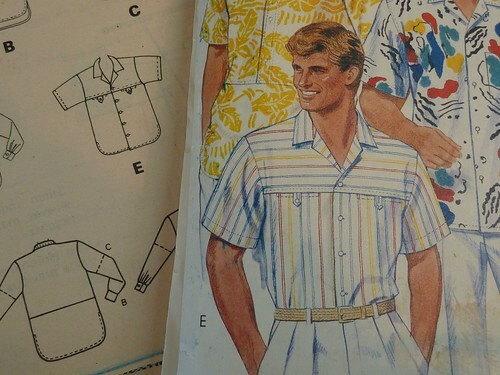 Secondly, I can totally ignore all the fiddly little pattern pieces. 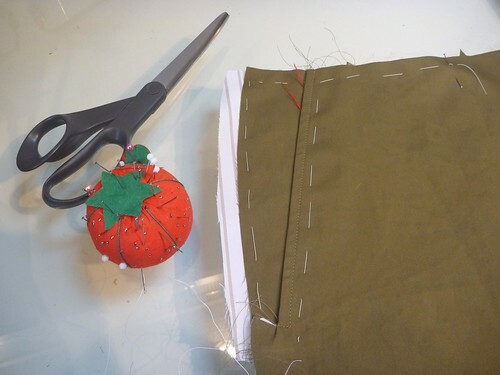 The pockets are just constructed of simple rectangles which are easy to chalk out and cut. I love it when things are made simpler. 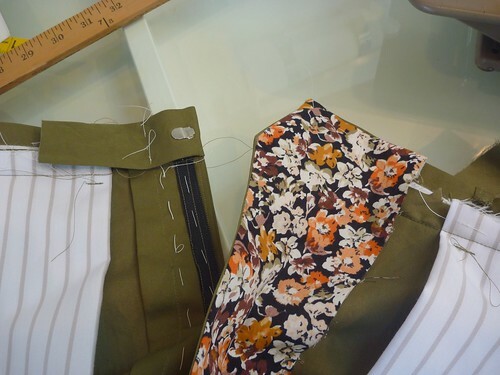 Having made a pair of Thread Theory's Jedediah pants prepared me to make the front slant pockets. The construction here was exactly the same. 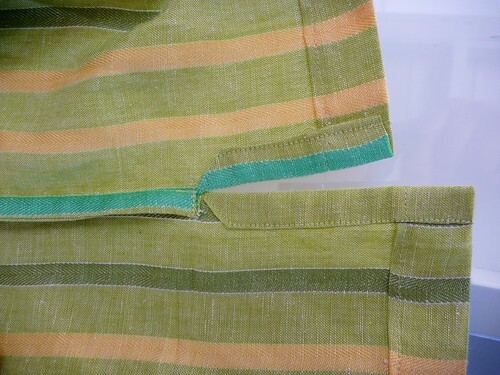 The pocket facings are attached to either end of the pocketing. 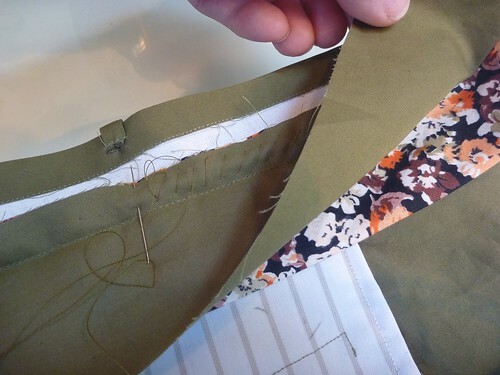 Then it all gets folded in half and stitched to create a French seam. 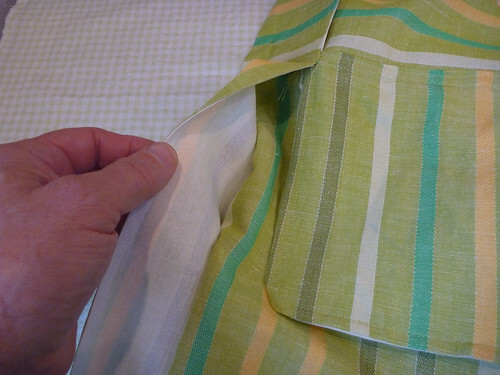 The result is a pocket that's beautifully finished on the inside. 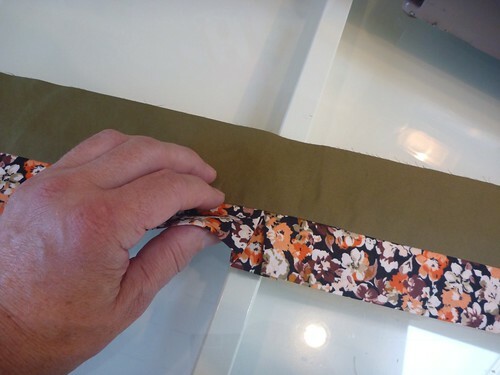 No raveling seams, no serging required. 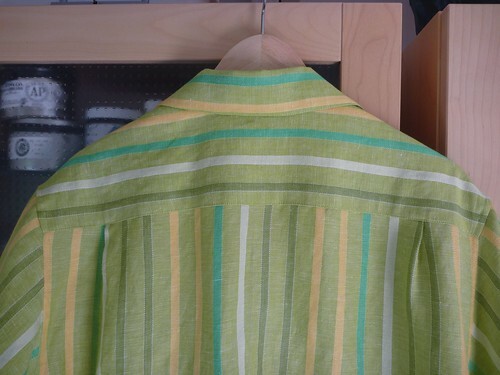 The pockets on this pattern have a lovely curve to them. 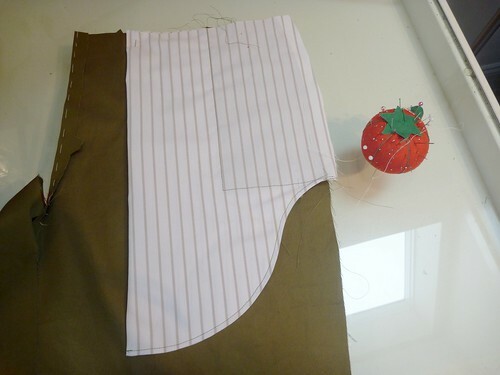 Here is the pocket from the right side. 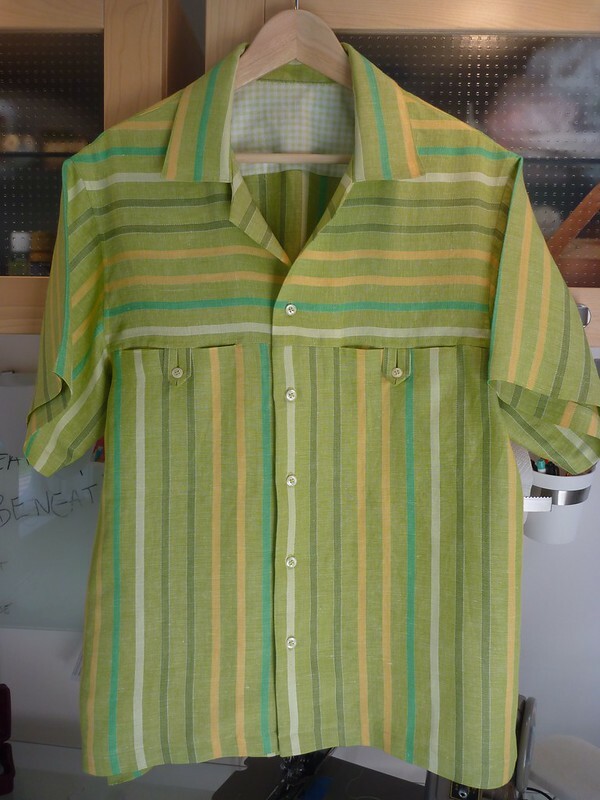 A nice feature of this pattern is that the pocketing extends out beyond the side seam allowance. 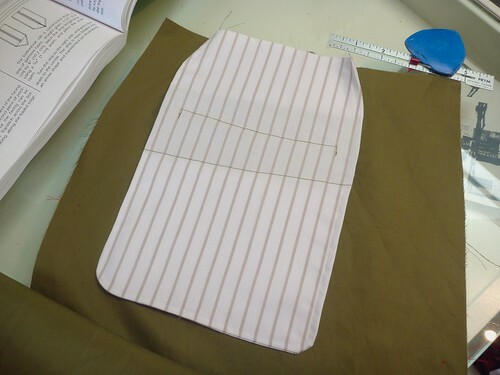 This extra fabric eventually gets folded and stitched over the side seam, which makes the finish on the inside very neat and tidy. 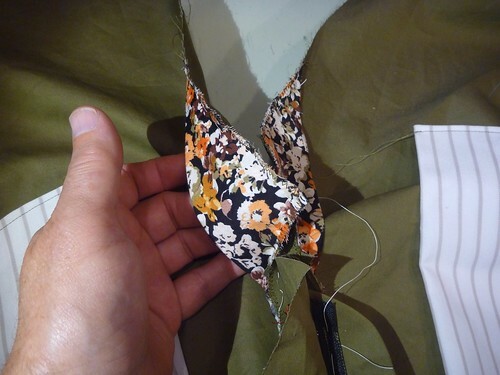 I will try adding this feature to my next pair of Jeds. The back double welt pockets are new territory for me, so I let my buddy Roberto Cabrera take me by the hand and guide me step by step. 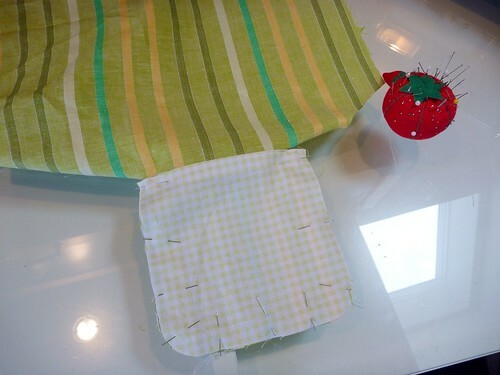 This strip of fabric will become the welts. 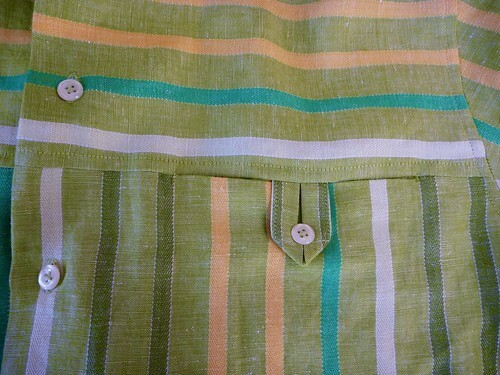 It's basted in a slight curve over the pocket placement line. 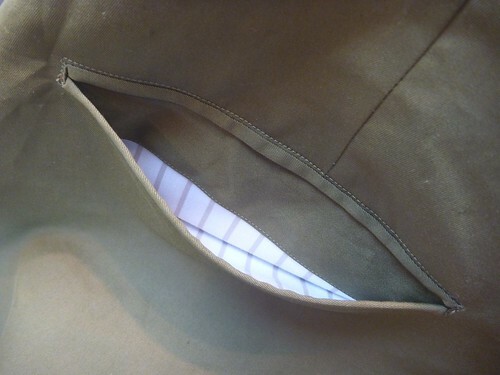 The curve is intended to keep the pocket from gaping open. 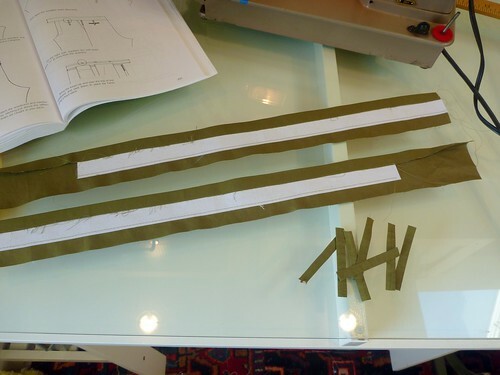 I won't bother to show all the steps here, just know that it's all extremely straight forward and not difficult at all. 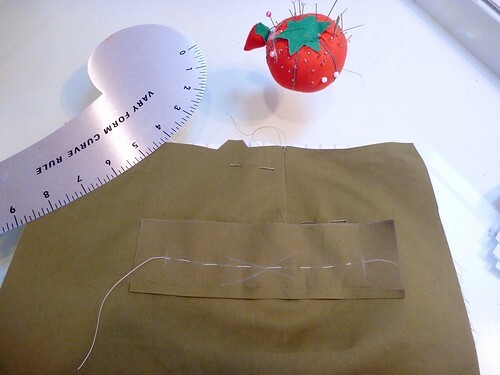 There are a few unusual sewing shenanigans; like where the entire pair of pants has to be pulled through the pocket in order to sew it up. Crazy. 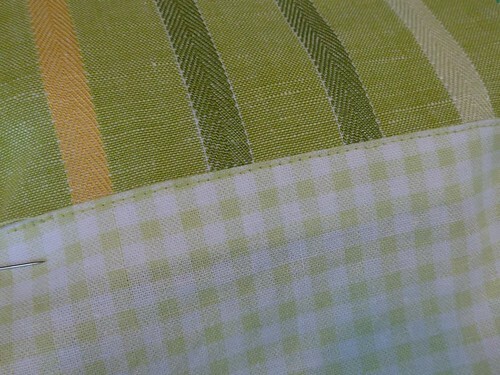 But again, the result is a nicely finished French seamed pocket. 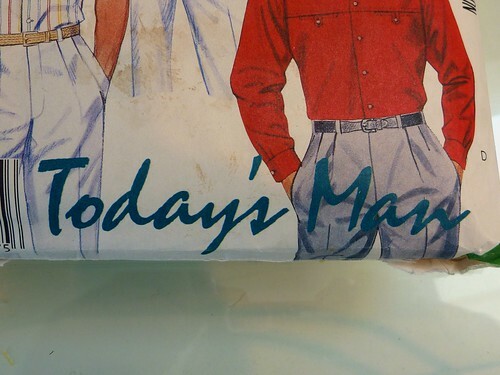 So here are my pockets from the outside. 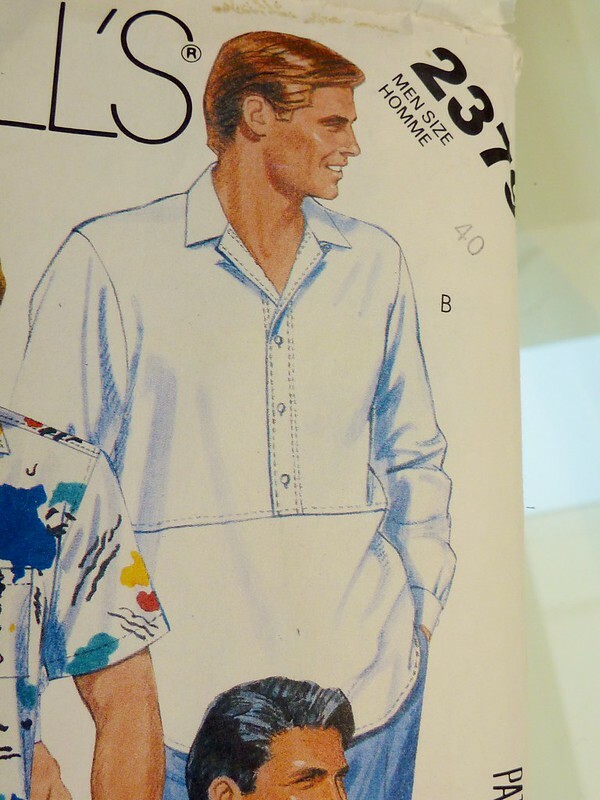 Unfortunately, I don't have any extra buttons that match the jacket. 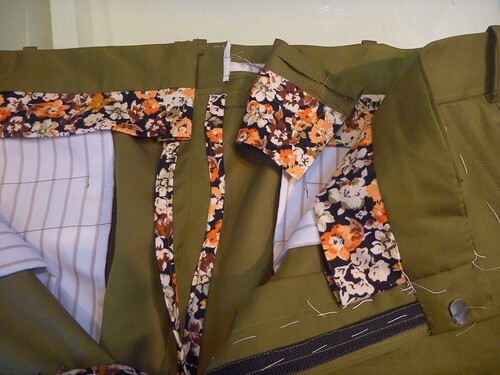 Otherwise, I would have added a button loop closure to the back pockets. Next time, right? 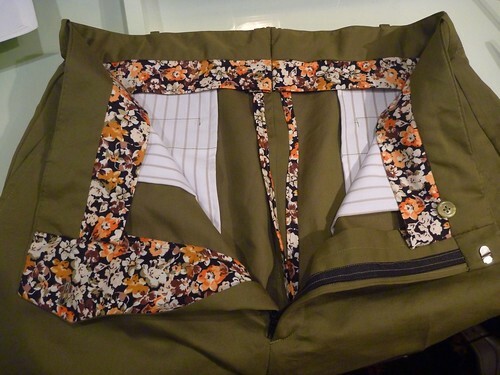 A peek into the back pocket, which ends up perfectly finished inside almost by magic. 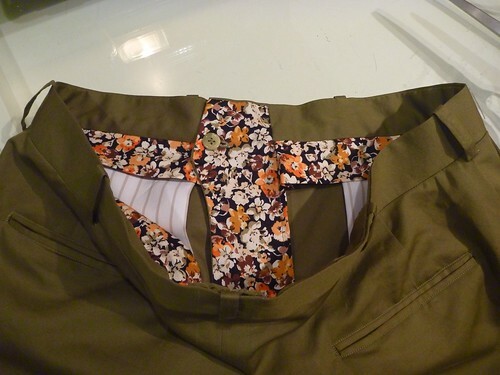 Here I've added a crotch shield of my floral shirting fabric. 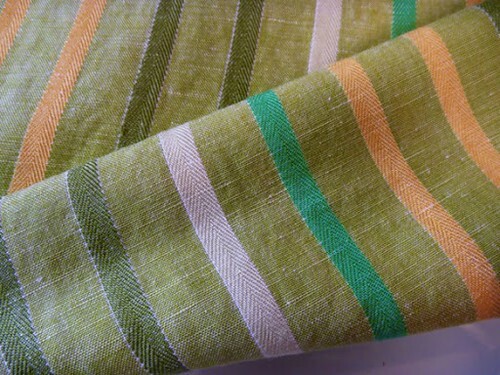 It's a square of fabric, folded on the diagonal and then pressed into a curve. 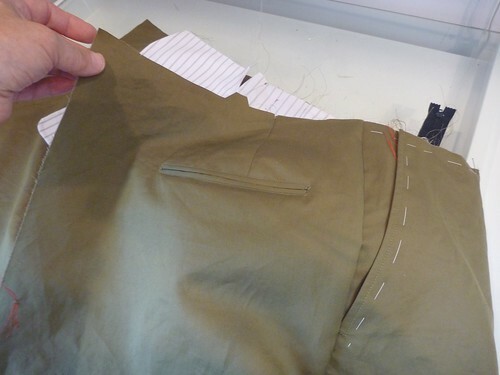 It's zig zagged onto the pant's front crotch before sewing up the inseam. 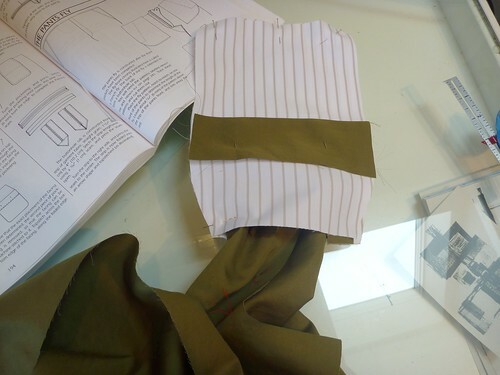 I'm also planning on using my left over shirting to construct the waistband "curtain". I love adding little unexpected touches to my clothes when I can. 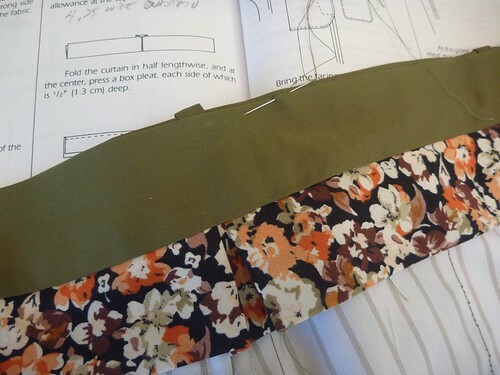 Now it's on to the waistband and belt loops, which I'll make according to Cabrera. I figure it will take the better part of a day. More later. 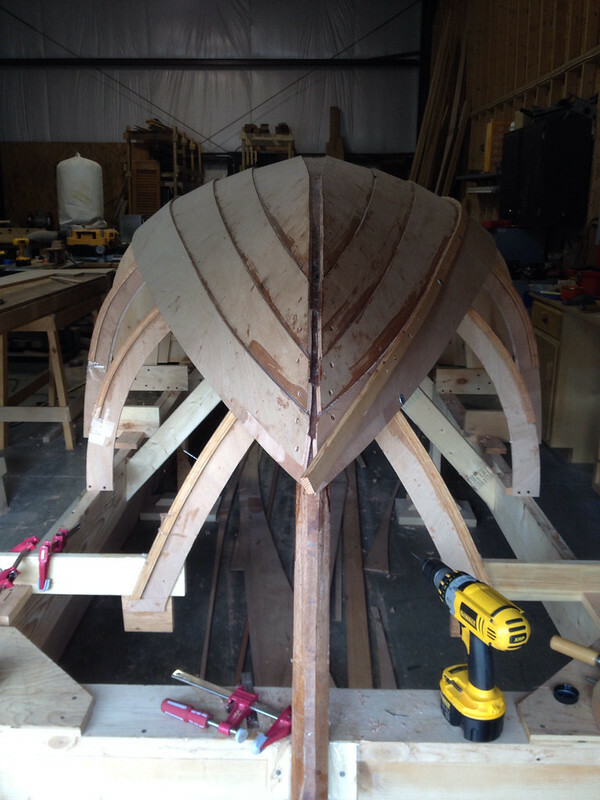 Oh, and the boat is half planked up.